The older I get and the more people I interact with, the more I realize how important testosterone is. It’s not just the male hormone that makes men manly, as some people may think. It plays a vital role in female hormone balance, physiology and well-being as well. 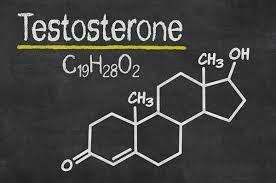 In simplistic terms, testosterone contributes to male characteristics and estrogens do the same for women. “Estrogenic” compounds found in many products used today. These are often referred to as estrogen mimickers, because they mimic or act like estrogen in the human body. Medications– that affect testosterone levels and sexual performance. Those include but are not limited to statin drugs for cholesterol, Ketoconazole an anti-fungal drug, beta blockers for high blood pressure, anti-histamines and stomach acid blocking drugs, anti-depressants, opioid pain killers, alcohol, marijuana, cocaine and other illicit drugs. Even compounds made by our own body can significantly reduce testosterone levels. One such compound is called aromatase. Aromatase is an enzyme made primarily by the fat cells of the body. Because of the increasing rate of obesity today, both men and women face a challenge with maintaining optimal testosterone levels, as aromatase converts testosterone into estrogen in the body. For men, this not only reduces the availability of testosterone, but it also increases feminine characteristics and can contribute to an increased risk of prostate cancer. Men with increased belly fat are at higher risk for having low T. For women, increased aromatase production due to increased body fat not only decreases their testosterone levels, but it also increases production of potentially harmful estrogen metabolites, which can lead to fibrocystic ovaries and breasts, endometriosis, increased risk of breast, ovarian and uterine cancers. An increase in body fat almost always correlates with an increase in insulin production and insulin resistance (which causes calories to be stored as body fat). Insulin is antagonistic to testosterone meaning the higher your insulin levels the lower your testosterone levels. Increased stress levels result in higher productions of cortisol by the adrenal glands and cortisol is also antagonistic to testosterone levels. This graphic shows the impact of increases in estrogen, insulin and cortisol on testosterone. Many men choose to address this problem by taking synthetic testosterone. While this may seem like a simple answer and quick fix, the unfortunate truth is that taking synthetic testosterone, poses certain potential health risks for the user. There has been growing concerns as to a possible increase in risk of prostate cancer and heart related consequences from synthetic hormones, including testosterone. A better option if one were to opt for hormone replacement, would be bioidentical hormones. Even that has some drawbacks however. One such consideration is the fact that when an exogenous hormone is taken by the body (exogenous = from the outside-in), the organ or gland that normally produces that hormone begins to shut down its production. This is called a negative feedback loop. A drawback of this process is, if somebody plans on discontinuing the hormone therapy their body may not be capable of producing sufficient quantities of that hormone again. Therefore, there is a risk that if taken long enough, it may become a permanent necessity to take it, in order to maintain healthy hormone levels. To me, it would make sense to modify the dietary, behavioral and lifestyle factors that can help you make the most of what your body will naturally provide you with BEFORE opting for something that you may need to do for the rest of your life. So, what are some practical things that we can do to enjoy normal, healthy levels of this very important hormone? Take supplements that block testosterones conversion into DHT (DHT is a testosterone by-product, that contributes to male pattern baldness, increased risk of Benign Prostatic Hypertrophy or BPH (prostate enlargement). Any fruits or vegetables that have pesticide residues. Pesticides are common estrogen mimickers. Glyphosate- (the active ingredient in the herbicide Roundup). Avoid GMO corn, wheat and soy. The bottom line, is that it is no wonder why testosterone levels have plummeted over the last 60 years! With the increased production and use of various chemicals and medications that we are exposed to commonly in our everyday life. In addition, the increased rates of sugary and high carbohydrate foods that have contributed to dramatic increase in obesity, this downward trend makes perfect sense. The good news is, that by having an awareness of and making conscious decisions on what we use in our environment, on and in our bodies and how we sleep and exercise, we can create dramatic improvements for our benefit. Use the lists I’ve given you for grocery shopping and food preparation and I believe that you will be very happy with the results.